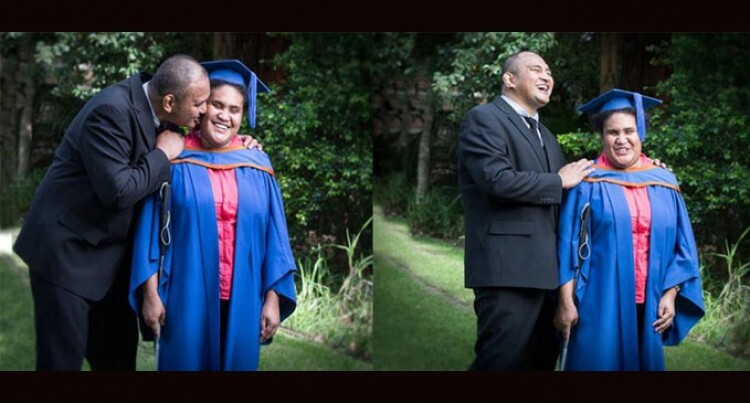 Blind Fijian student Sovaia Sisi Coalala gets a congratulatory kiss from her husband Fuata Faktaufon after she graduated with double masters at the University of Wollongong, Australia. She defied all odds to achieve her dream. They cannot hide their joy after the graduation ceremony. Her achievement has inspired the university community.